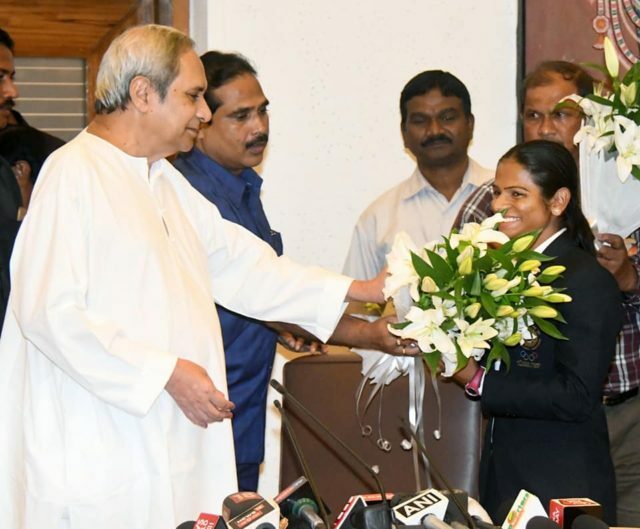 Bhubaneswar: Odisha Chief Minister Naveen Patnaik today felicitates ace sprinter Dutee Chand and her coach Ramesh Nagapuri. Chief Minister Naveen Patnaik handed over the cheque of the cash award of Rs 3 crore which he had announced for her after she won the medals. Patnaik also felicitated her coach Ramesh Nagapuri. Dutee Chand has won silver medals in both 100m and 200m.